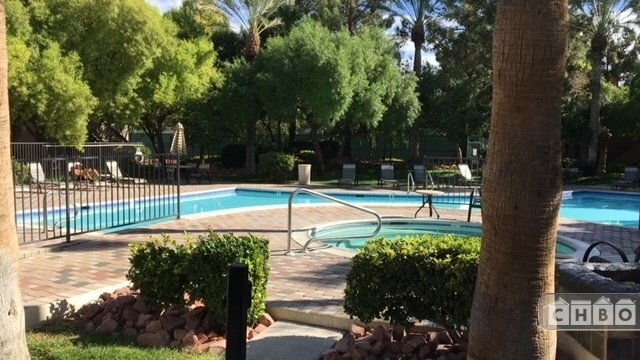 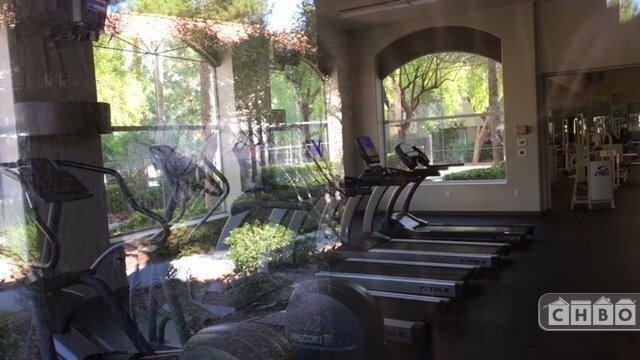 Luxury 2Bd/2Ba Condo- Las Vegas Blvd. 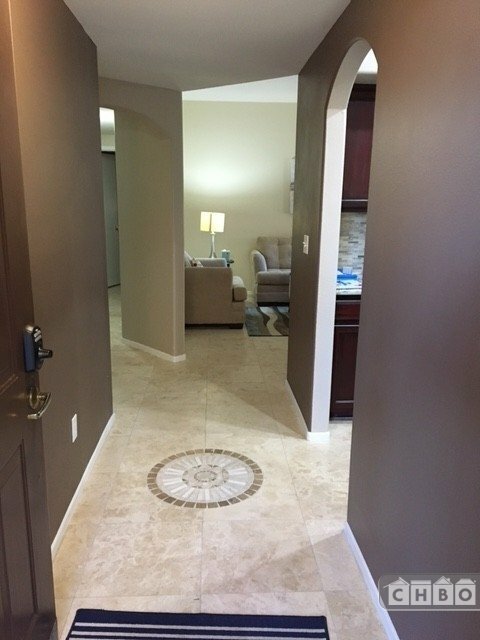 Property 14959 - Luxury 2Bd/2Ba Condo- Las Vegas Blvd. 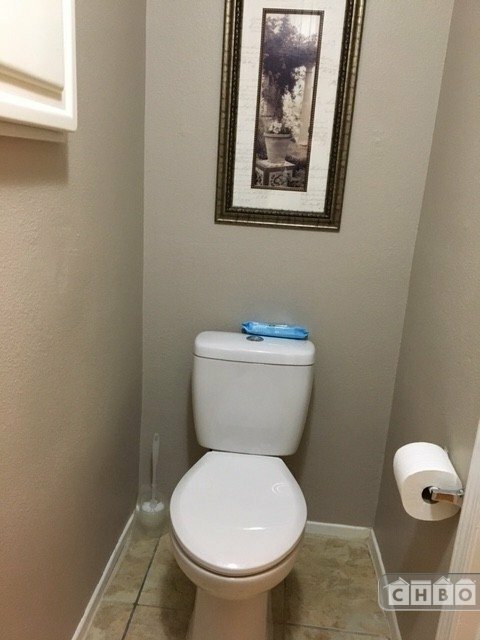 Utilities, alarm system, cable TV and internet are included in the monthly rental. 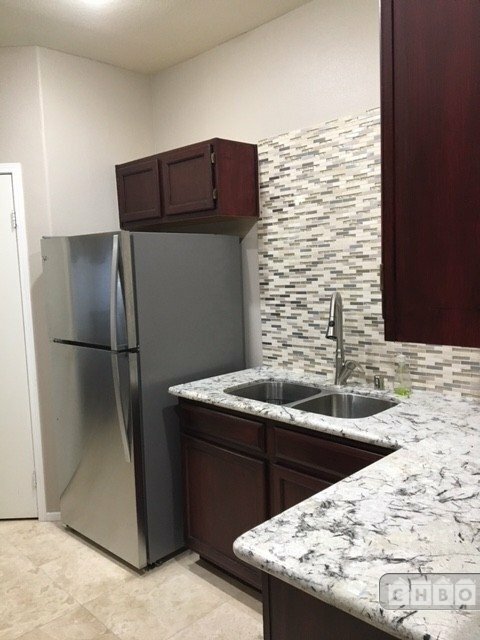 Rental application and $50 credit check fee for each tenant must first be submitted. 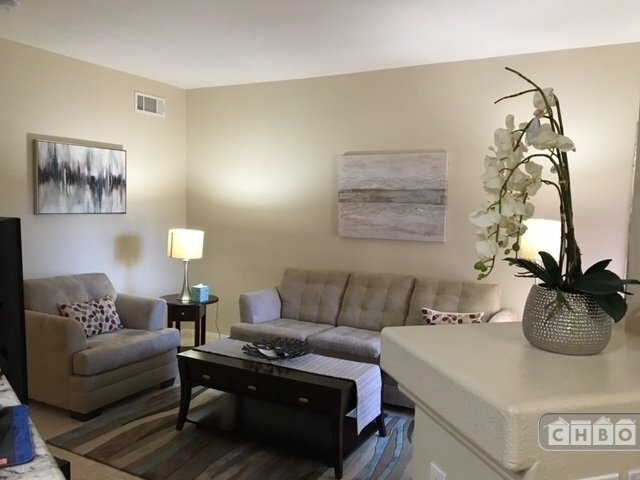 Upon approval a formal lease agreement will be executed by the parties at which time first month and refundable security deposit amounts are payable in immediately available funds. 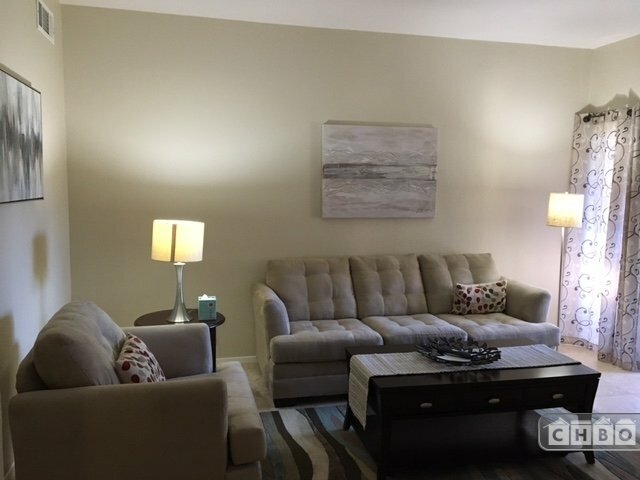 Additional 3% fee for credit card payments. 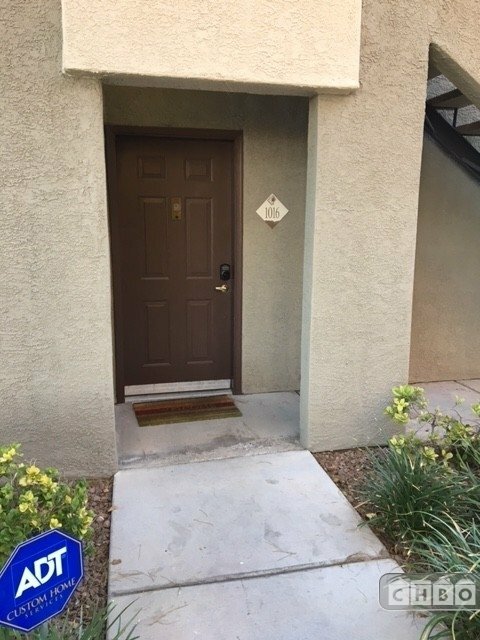 Tenant must review and abide by the HOA rules and regulations and get gate entry car decals if cars are to be parked on the premises. 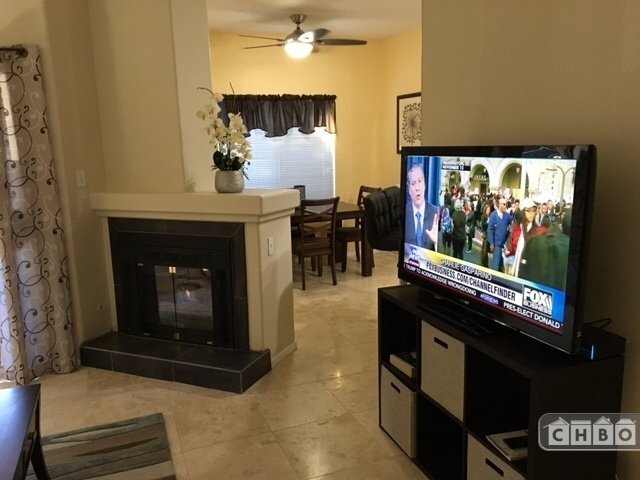 This newly furnished and highly upgraded condo is located within minutes of driving time to the airport and to world renowned Las Vegas Strip. 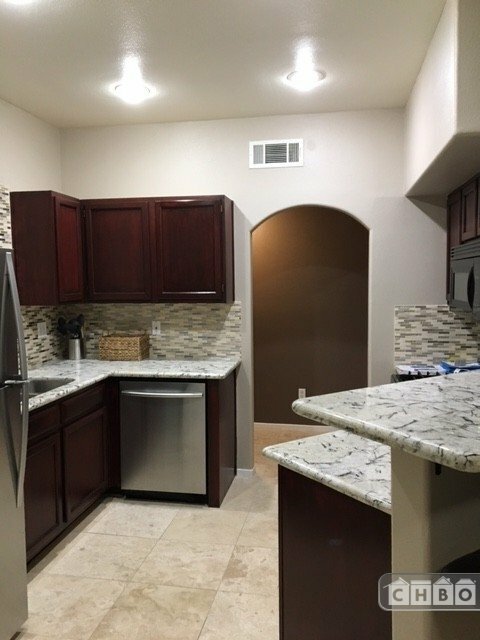 It's inside a resort style 24 hour guard gated community with gym, pool, hot tub/spa, tennis court, barbeque and recreation center. 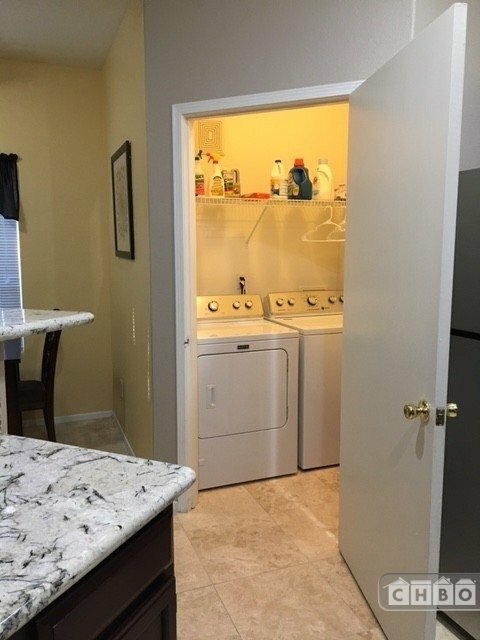 Unit has all marble flooring, central heating and air conditioning, gas fireplace, two separated bedrooms, each with its own bathroom and walk in closet, spacious kitchen with granite counter top and brand new appliances, living room, dining area with a ceiling fan, laundry room and patio with locked storage. 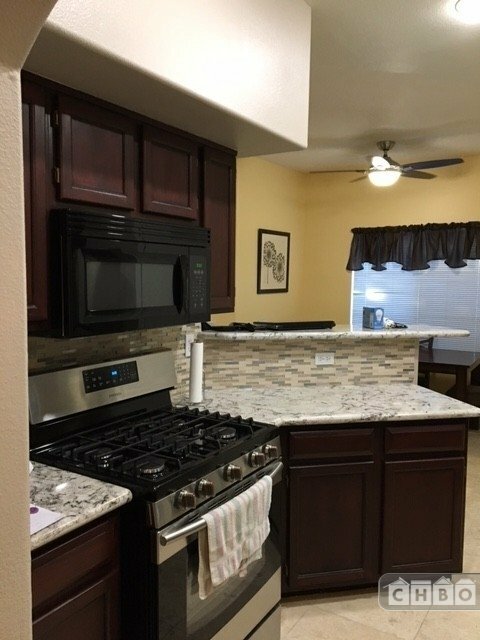 Appliances included: Refrigirator, gas Range/oven, Microwave, Dishwasher, Washer and dryer, 45" Television set. 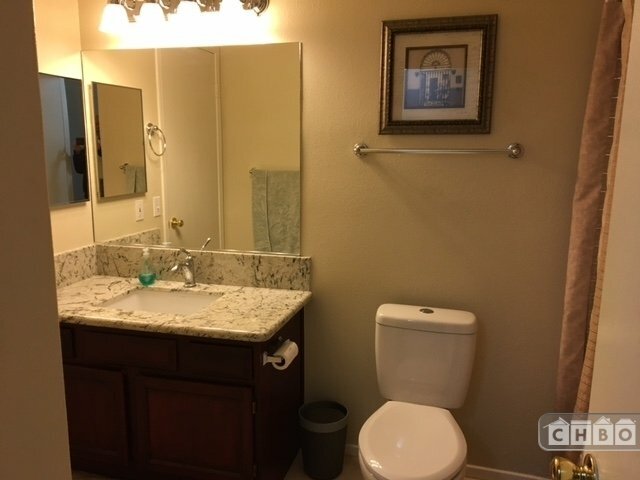 Utilites, ADT monitored alarm system, high speed internet, telephone and cable TV are included. 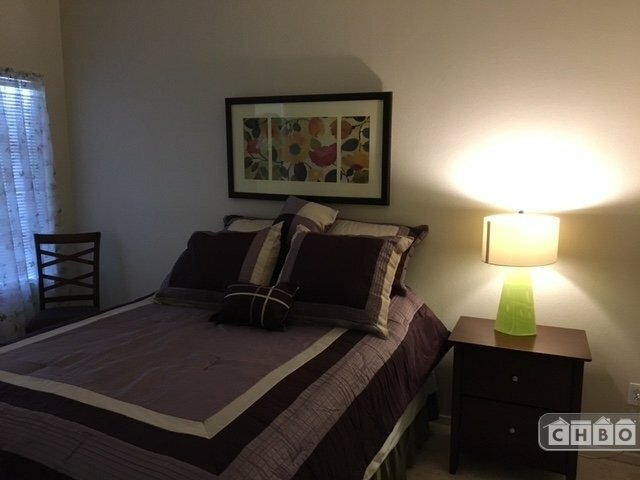 One assigned covered parking and adjacent unassigned parking for tenant and guests. 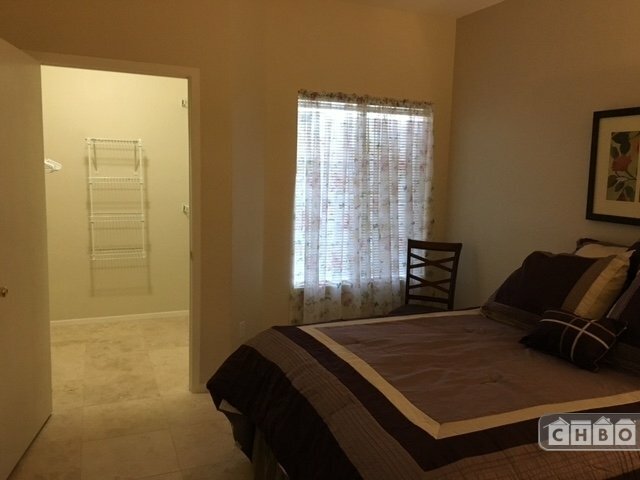 Unit is very close to the community pedestrian gate for a short walk to Uber and taxi pick-up and drop-off zone as well as to a public bus stop. 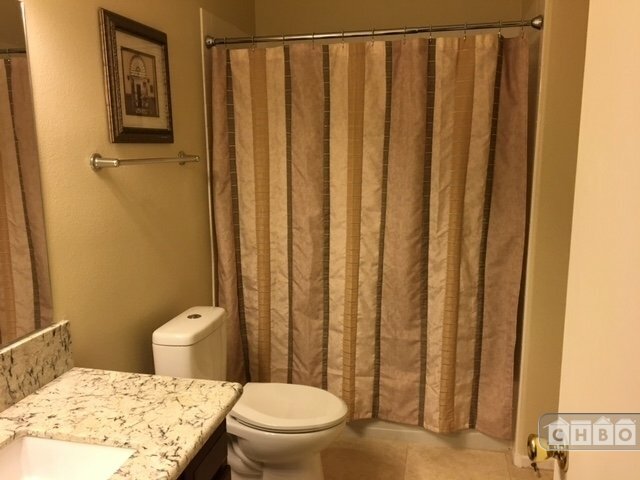 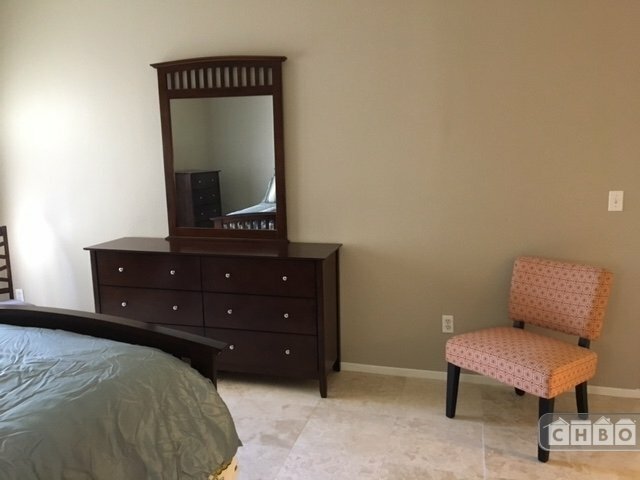 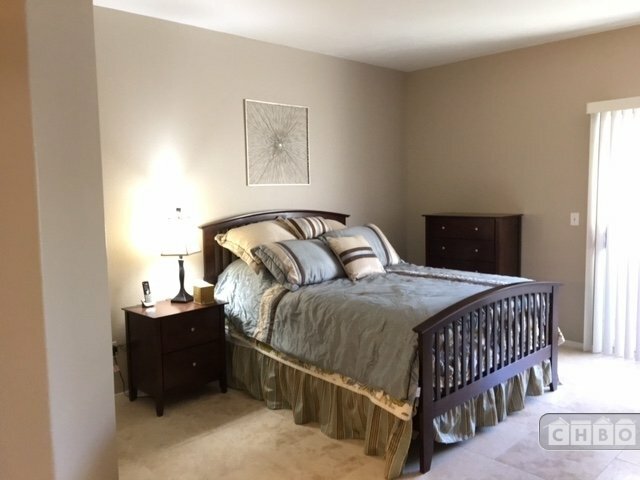 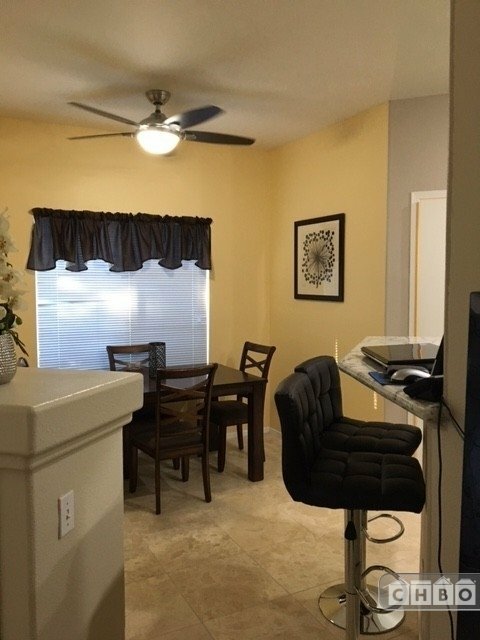 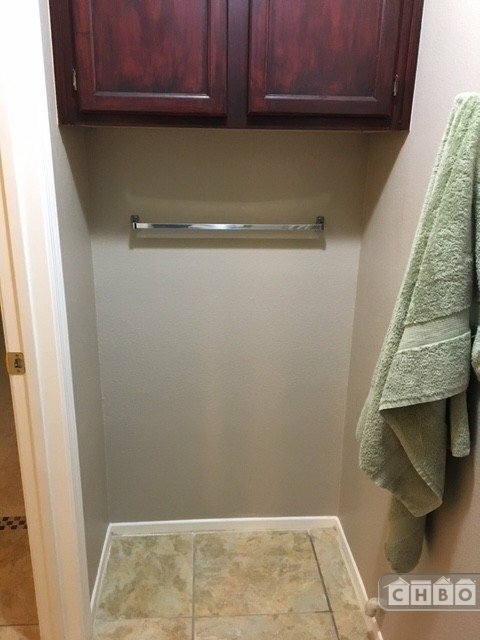 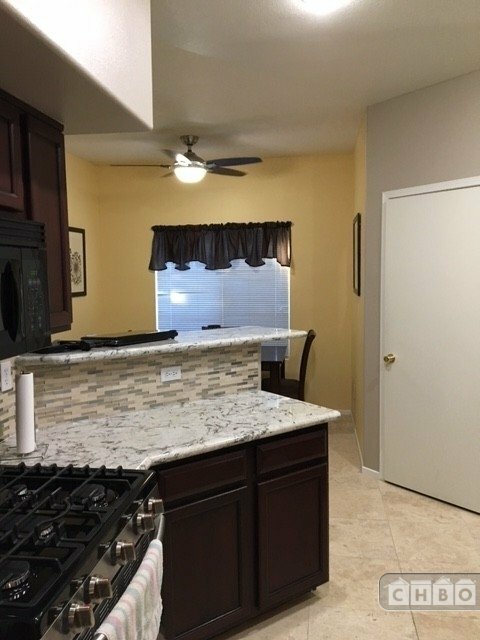 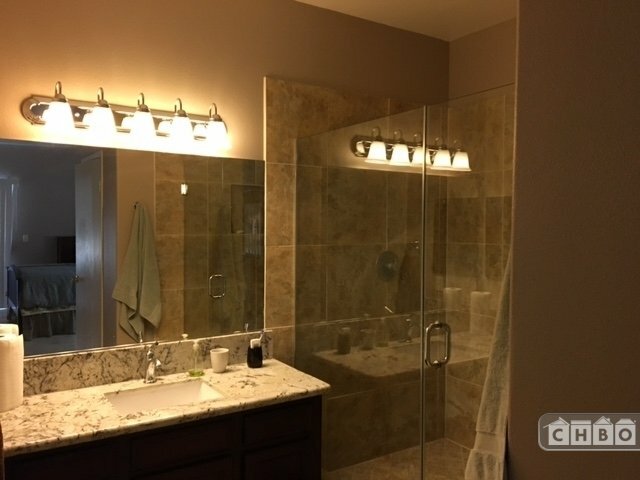 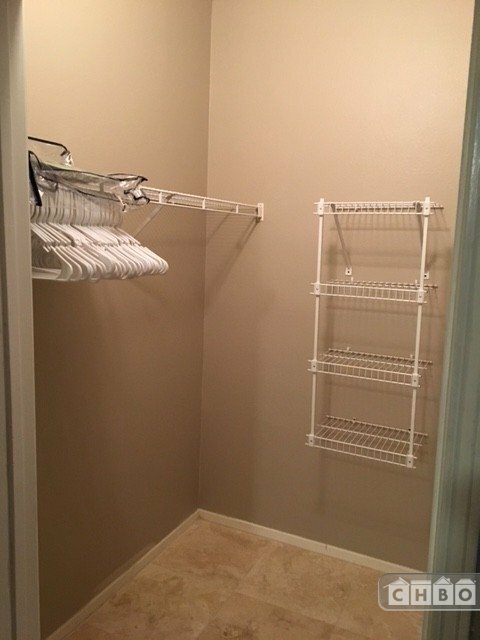 A larger two bedroom similarly furnished and upgraded unit with two car attached garage in a gated community on W Charleston and Cimarron is also available. 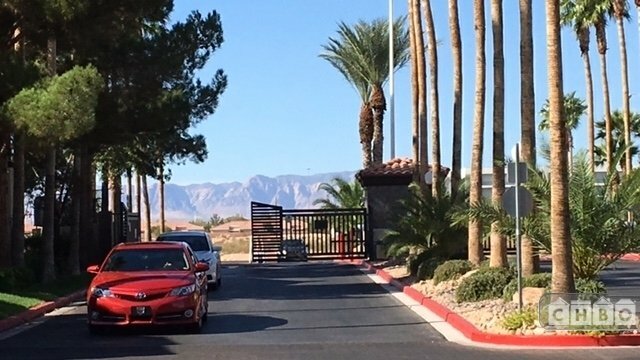 Cross streets: South Las Vegas Blvd and E Pebble Rd.